Have you ever thought about helping children through your business? Do you want to implement a CSR policy and have a positive impact on society? Work with Street Child Switzerland and help to give these children a great future ! 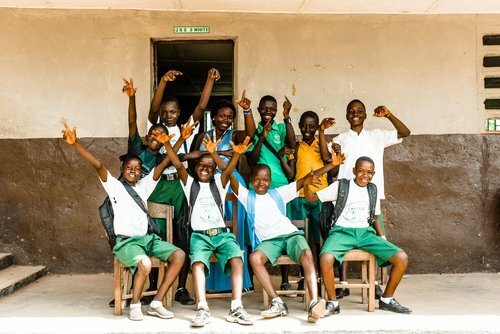 We believe that every child deserves the right to be empowered through education. UNICEF estimates that approximately 121 million children worldwide are out of school. Street Child focuses on these marginalized communities, whose needs are considerable. Street Child works on sustainable projects that have an impact and at a lower cost. Since 2008, we have provided over 200,000 children with access to education. 22,000 parents received a Street Child grant to start a family micro-enterprise so they could have a stable income and send their children to school. Want to know more about our sustainable projects? Find out more about our research work here. Sustainable means that projects are carried out by our local sister organisations; our relationships are based on trust and respect. In this way, they can grow and eventually play a leading role in the development of their society. The support of partners is essential to the realisation of Street Child projects. Financial contributions guarantee the sustainability of our actions and make new projects possible. For example, 200 € can train a teacher and with 2000 €, we can build a school in a remote area. In addition, supporting Street Child is a great way to shape your company's CSR policy. Studies show that commitments to associations are highly appreciated by clients. It's a great way to distinguish yourself. You can also increase your employees' motivation and give them another reason to be proud of their company! Street Child Switzerland is recognized as an association of general interest and supporting us financially gives you access to tax benefits. Your donations entitle you to a tax reduction of up to 5 ‰ of your turnover for income tax or corporation tax, spread over 5 years. Sponsorship is another way of giving and it also gives the right to a tax reduction. Whether it's event materials, brochure costs or other marketing resources, you can benefit from tax advantages by supporting Street Child's cause. Naturally, we mention your company as a partner. Want to know more about it? Contact us. We want this collaboration to create value for Street Child but also for you. That's why we keep you informed about the impact of your contribution on children's lives. As we are flexible, it is with pleasure that we will work together to ensure that this partnership meets your company's criteria. In short, anything is possible! Vistaprint is an online printing company that has been involved in the organisation of Street Child's Sierra Leone Marathon since 2012. This collaboration started with the sponsorship of promotional materials for the marathon and has grown since then. To date, the company has sent a team to the marathon every year and continues to provide Street Child with our printed materials. Its a partnership that both Street Child and Vistaprint are pleased with and proud of in equal measure. To carry out our projects, Street Child Switzerland needs the support of foundations and endowment funds. We contact organisations with similar values and objectives to ours. We draft specific requests which take into account the criteria and wishes of our potential partners. For example, the contribution can vary greatly depending on the foundation because all our projects are evolving and any assistance can contribute significantly to their implementation. Street Child has always found partners, so we have never given up a project. It's a source of pride! Street Child Switzerland works closely with sister organisations to realise all projects. The fundraising and requests for support are carried out by Street Child Switzerland as well as by other European entities. The implementation of the projects is carried out by our local Street Child organisations in the different countries concerned. Monitoring and evaluating our projects is important to measure the impact of our actions. Each project is therefore reviewed before, during and after implementation, at different levels: by local management and by a staff member from the European entities. This allows Street Child Switzerland to guarantee the accuracy of execution of all its projects, for a lasting effect. Want to know more about the impact of our projects? Find out more about our research work here. 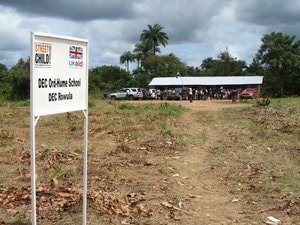 Does your organisation support similar projects to ours? Are you looking for a partner in one of the countries where your organisation is active? Contact us so we can work together! Feel free to ask us what your donations are for. Would you like to make a large donation to Street Child Switzerland? Do you want to support a specific project or part of it? There are various options, such as building a school, educating more than 100 children or helping to train local teachers. You can also support families in raising their children. If you have any other wishes, we would be happy to discuss them with you. By choosing a regular donation, you allow us to better plan our actions and strengthen the stability of Street Child Switzerland. Vistaprint® has been very involved with Street Child from the start. In addition to sending SLM runners, raising funds and organizing workshops, they also help us with our marketing materials! The sports brand UnderArmour® fits in perfectly with our sporting challenges. UnderArmour supports Street Child in the promotion of these adventurous events!